Jan 02, 2016 / Comments: 0 / Goodbye Gustav! 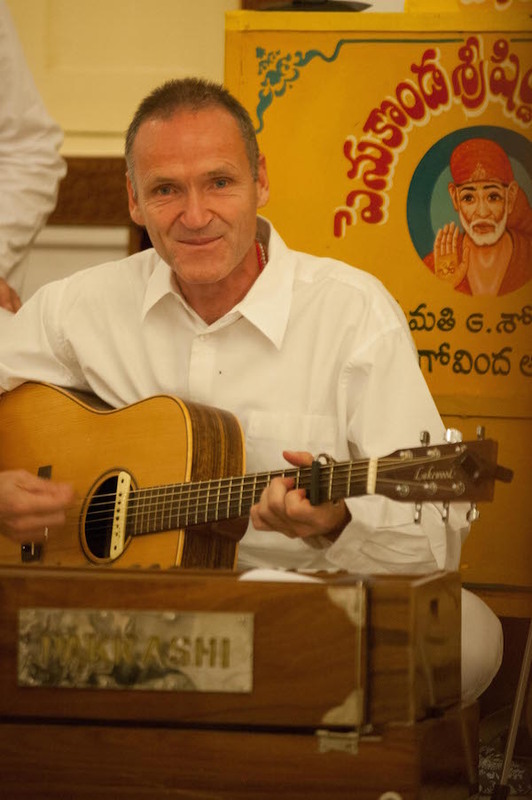 Sankirtanacharia Gustav Vigneshwara will be buried on Jan 7th, 2015 at 3 pm in the “FriedWald” (literally ‘PeaceForest’) in the midst of beautiful Reinhard Forest underneath ‘his’ tree. Gustav loved nature and the forest so much. The Reinhard Forest is known as one of the most romantic german forests and home of Sleeping-Beauty Castle “Sababurg” and many other places of legend, myth and fairy tales. In this beautiful surrounding Gustav’s family has found his tree. Now his body has a home in the forest close to his family in addition to his soul home in Penukonda, India. We invite everyone to be present at the funeral and celebrate Gustav’s life with us. You will find route directions HERE. There will be a gathering afterwards where we can be together. More information will follow soon. The FriedWald (PeaceForest) provides an opportunity to have one’s final resting place in the nature. It’s a forest that can be enjoyed anytime, filled with bird song, whispering leaves and the sweet smell of Mother Nature. FriedWald is an alternative form of burial. The ash of deceased rests in a bio-degradable urn, directly at the root of a tree. Nature is taking care of the grave. Flower arrangements, candles and grave stones do not fit into the nature surrounding of the forest. Instead moss, fern, wild flowers, colorful leaves and snow decorate the tree graves throughout the seasons and create individual spots for remembrance. We kindly ask you to not bring flower arrangements, candles or decorations. All supplies needed for the process of burial will be taken care of. Bring your open hearts and joy. Donations are heartfully welcome and gratefully received - Information HERE.